Approved for persons in low risk and smaller workplaces, where a nominated person is required to take charge in the event of an illness or accident. 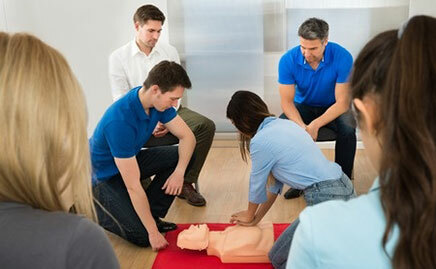 Where an employers risk assessment of First Aid needs identifies that a First Aider is not necessary but the minimum requirement is to appoint a person to take charge of the First Aid arrangements. Also ideal for larger organisations where fully qualified First Aiders can benefit from the support of an Appointed Person. On successful completion of the course the delegate will receive a certificate of attendance.